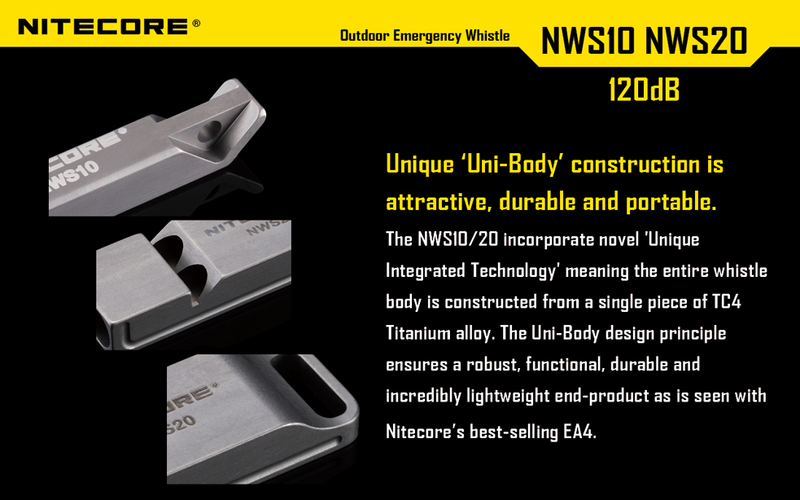 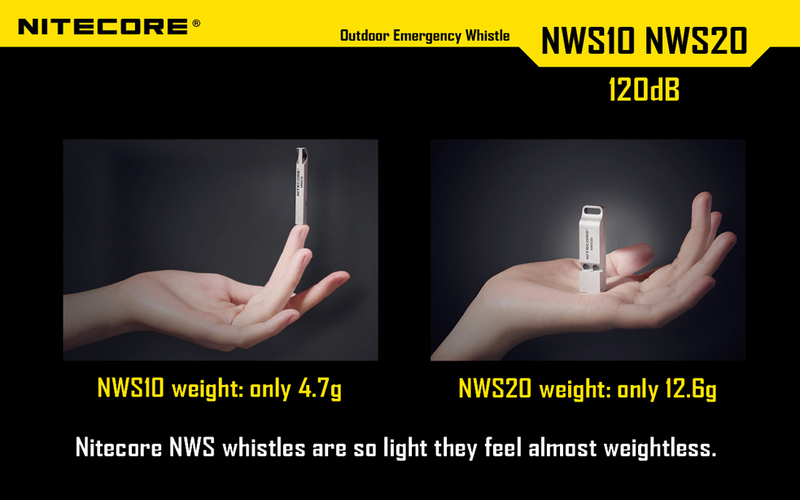 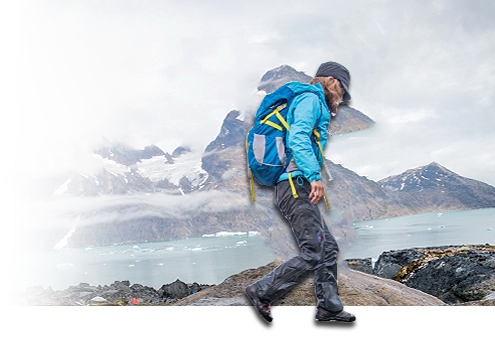 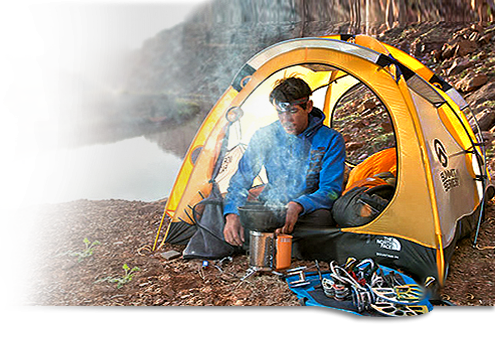 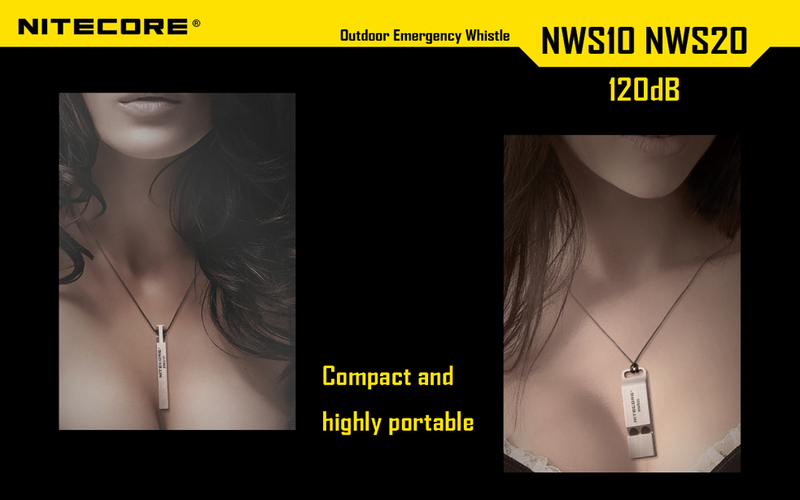 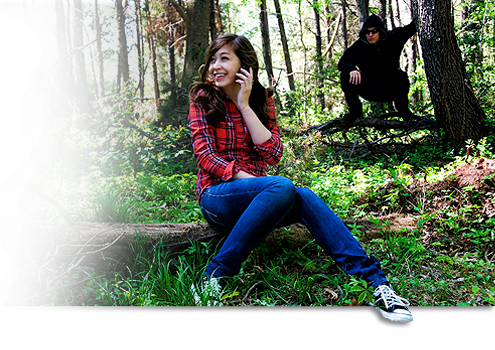 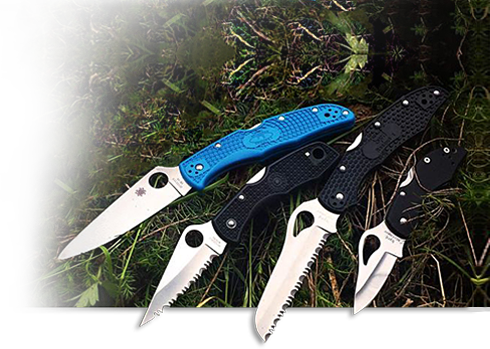 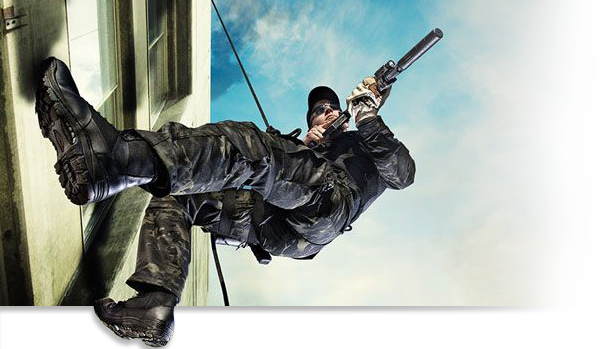 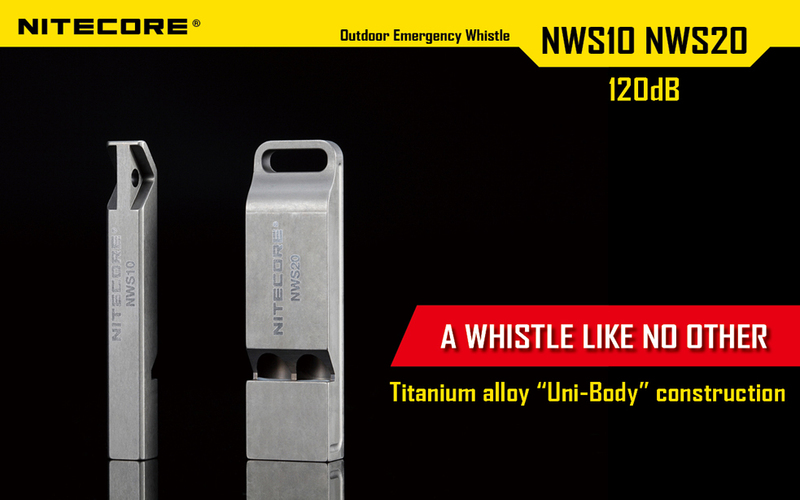 Click the button below to add the Nitecore NWS10 Titanium Outdoor Emergency Whistle to your wish list. 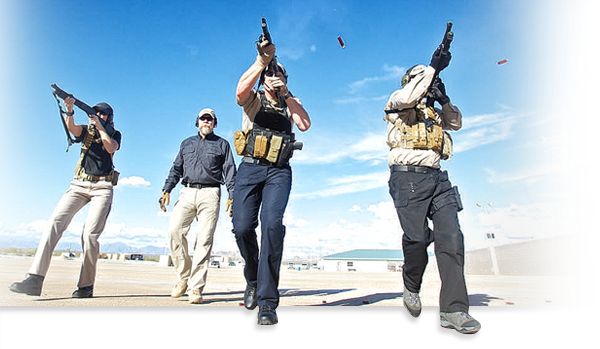 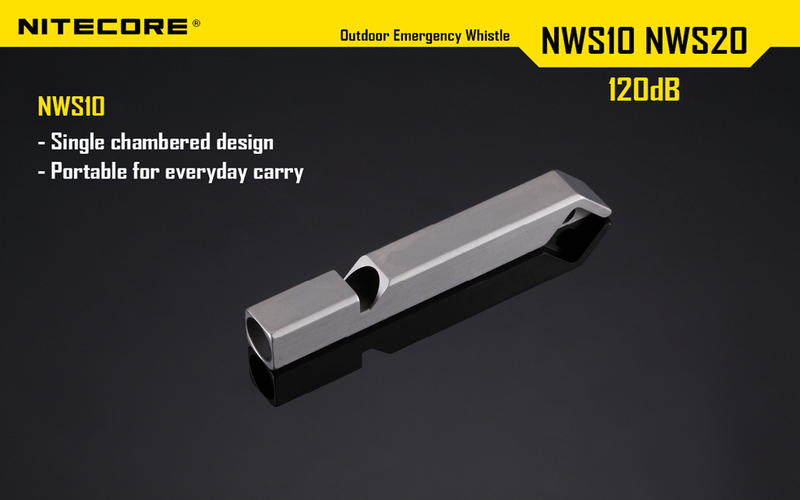 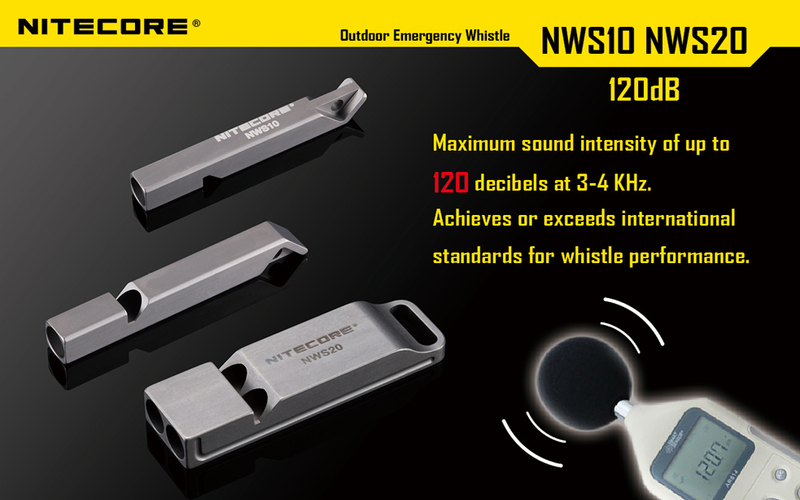 This sleek Nitecore NWS10 Titanium Outdoor Emergency Whistle is a single chamber whistle that produces an ear-piercing 120-decibel sound, perfect for sporting events, emergency, security, and law enforcement applications, and outdoor use. 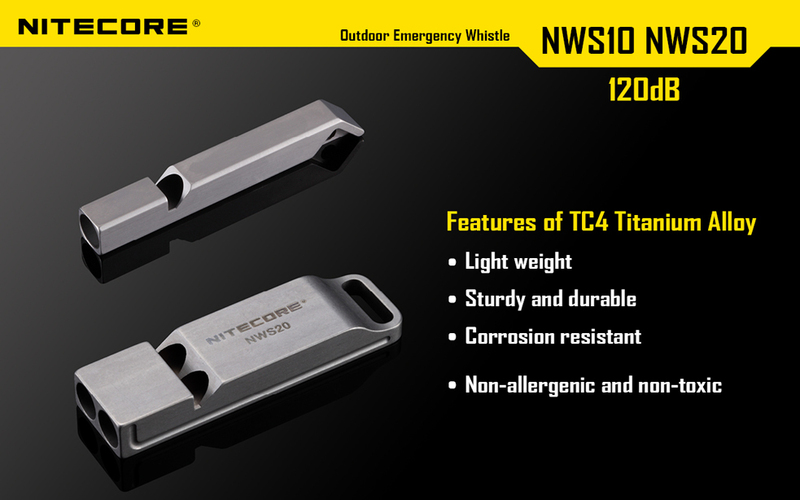 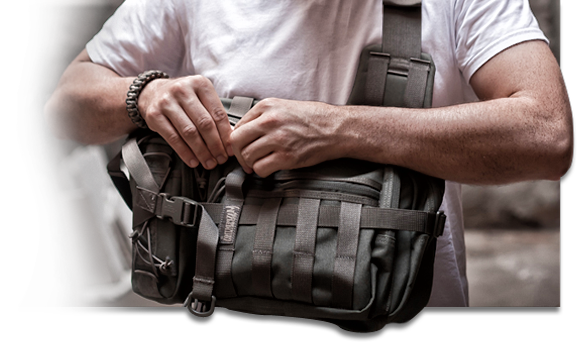 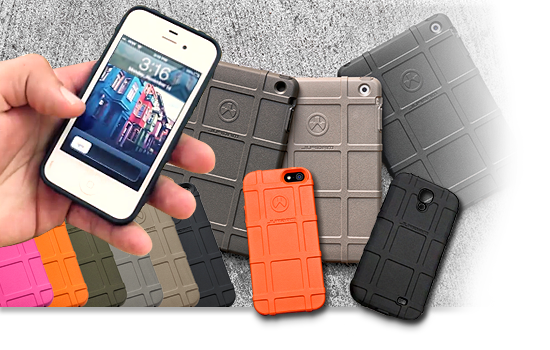 It is made from a single piece of Titanium Alloy making it extremely lightweight, corrosion resistant, sturdy, non-toxic, and non-allergenic. 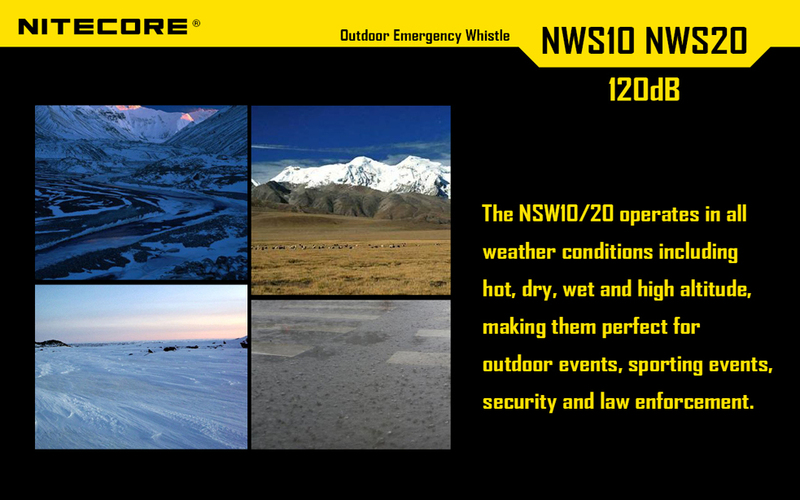 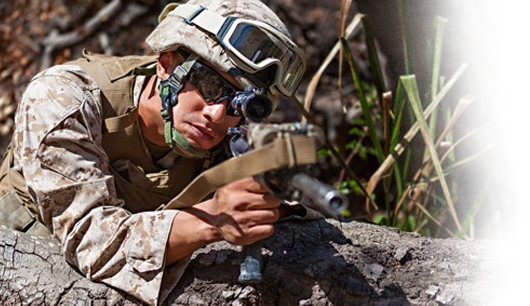 The NWS10 can operate on all weather conditions and at high altitudes.